Make a bold statement with Cancos custom fabrications. 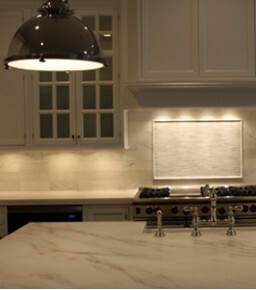 Choose from among our first-quality slabs of granite, marble, onyx, limestone and travertine. With our own in-house fabrication plant equipped with state-of-the-art water-jet and CNC machines, we can fulfill the requirements of any project...fireplaces, granite or marble countertops and custom medallions. Our precision craftsmanship, attention to detail, and dedication to quality will bring your designs to life. For inquiries on any fabrication project, please contact us via email or phone.